The Triple - Digital Dimming LED Driver. 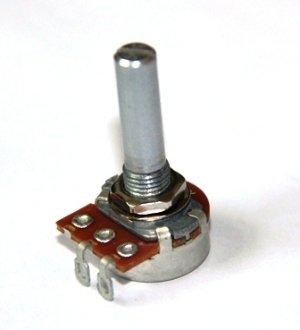 Home > Parts > Drivers > Steve's LEDs Digital LED Drivers > The Triple - Digital Dimming LED Driver. 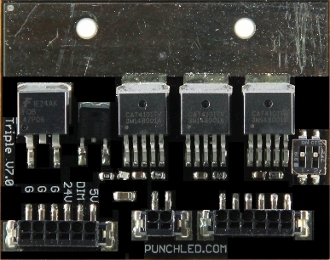 The Triple Dimming LED Driver was designed to run THREE entire arrays of LEDs each with a combined forward voltage up to 25V an each at 1,000ma. -Wire size - Use 20 gauge wire only for power input. Use a minimum of 24 gauge solid core wire to attach LEDs.